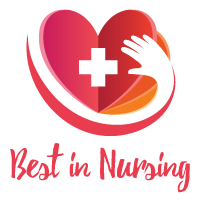 Sarah Forsythe, Clinical Quality Specialist at Keck Medical Center of USC in Culver City, has been recognized as a “Leader in Nursing” among “America’s Best Nurses” for 2017. She will be sharing her knowledge and expertise in the areas of Analytical Skills, Complex Data Analysis, Nursing, and Statistics. Sarah Forsythe has been working in the healthcare industry for the past 24 years. Her background as a nurse with a Master’s Degree in Biostatistics after receiving her degree from the University of California, Los Angeles, inspired her to pursue a career as a Clinical Quality Specialist at Keck, where she would have the opportunity to utilize her experience in the fields of both Nursing and Statistics. Ms. Forsythe has been in her current position since August of 2015. 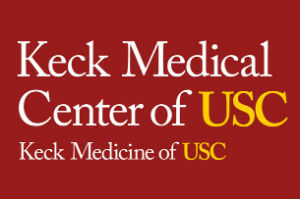 Keck Medicine of USC is an academic medical center comprised of leading researchers and physicians. Its mission is to diagnose, prevent, and treat diseases in order to help patients achieve a high quality of life. Services include Quality and Outcome, Surgery, Cancer, Therapy, Dermatology, Medicine, Eye, Oncology, Pain Management, Psychiatry, Radiology, Transplant, Spine, Women’s Health, Pathology, Rheumatology, Sleep, Infectious Disease, Liver, Diabetes, and Cardiology. Ms. Forsythe’s day-to-day responsibilities include extracting complex data from patient charts and translating it into simplified terms to determine quality of care. The abstraction of data is presented during quarterly meetings to determine the best course for optimizing patient treatments and outcomes. Ms. Forsythe is currently pursuing her Healthcare Quality (CPHQ) certification and has been published in over a dozen peer-reviewed statistics publications. She was a recipient of the Academic Nursing Award from UCLA in 1992. Ms. Forsythe attributes her overall success to a strong work ethic. She is particularly proud of the knowledge she has acquired in the field of sepsis and transplants. She is a member of Sigma Theta Tau International (the Honor Society of Nursing), is actively involved with the Community Emergency Response Team (C.E.R.T. ), and participates in walks for Cystic Fibrosis. In her free time, Ms. Forsythe enjoys reading, quilting, and spending time with her cats.